On a recent redfishing trip to Louisiana, I was introduced to SweetWater Brewing Company's newest offering, Guide Beer, which officially launches to the public in May. On our way out of Atlanta, I'd managed to score a six-pack of a promotional run from my friend Andy Bowen, who runs Cohutta Fishing Company, with fly shops in Cartersville and Blue Ridge, Georgia. His Cartersville shop is also home to the Last Cast Bar, where he's been exclusively serving six varieties of SweetWater since October of 2017. 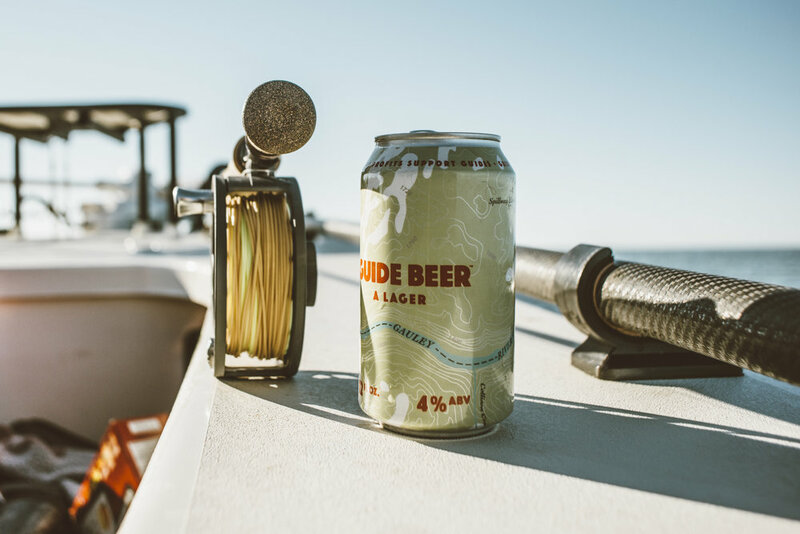 In fact, Andy was among a select group that the Atlanta-based beer maker consulted when Guide Beer was in development, and he may deserve a little credit for coaxing the brewmasters toward a boat beer that "you could drink all day if you needed to." A lager with four percent alcohol, Guide Beer answers that call.